WATERVILLE — The regular season suggested there would be no stopping the Skowhegan field hockey team. The first few minutes of Wednesday’s Class A North final confirmed it. 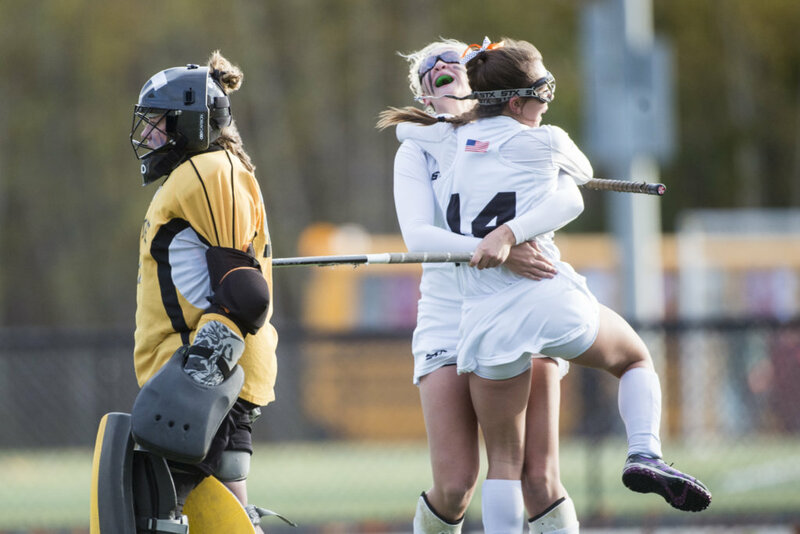 Adelle Foss and Hannah McKenney tallied early goals, Bhreagh Kennedy added another and the top-seeded Indians rolled to another Class A North championship with a 3-0 victory over No. 2 Mt. Blue at Thomas College. “It’s always a new feeling,” Skowhegan coach Paula Doughty said. Just not a new result. Skowhegan’s regional title is its 18th straight, and 21st in 22 years. And this group didn’t want to be the one to end the run. There was little doubt that they would, as the Indians (17-0) blitzed the Cougars (11-4-2) with a display of versatility. Seniors scored. Sophomores scored. On offense, Skowhegan buzzed around the Mt. Blue cage, firing 20 shots. 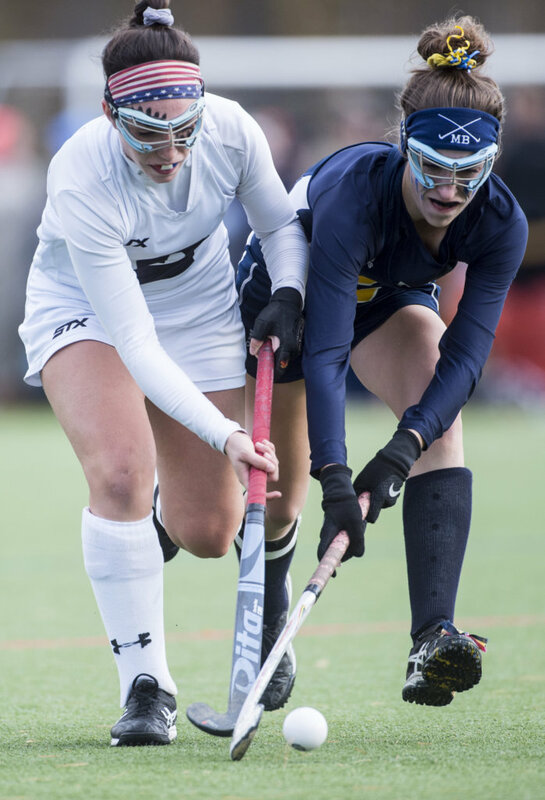 On defense, the Indians might have been even better, holding the Cougars to one shot on goal and allowing no corners. “This team, especially, has worked extremely hard to get here,” Doughty said. That balance, depth and effort translated quickly to the scoreboard. Just over four minutes had passed by the time Lizzie York sent a long diagonal pass over to Foss on the left side, and the senior collected the ball and flicked the shot into the boards on the bottom of the right side of the cage for a 1-0 lead with 25:59 left in the half. It didn’t take long for Skowhegan to strike again. Maliea Kelso played a ball from the right side back to the space in front of the goal, where a cluster of Indians had gathered. The ball found McKenney, and her shot skidded through the traffic and in for a 2-0 lead with 21:12 left. Skowhegan’s defense took it from there. 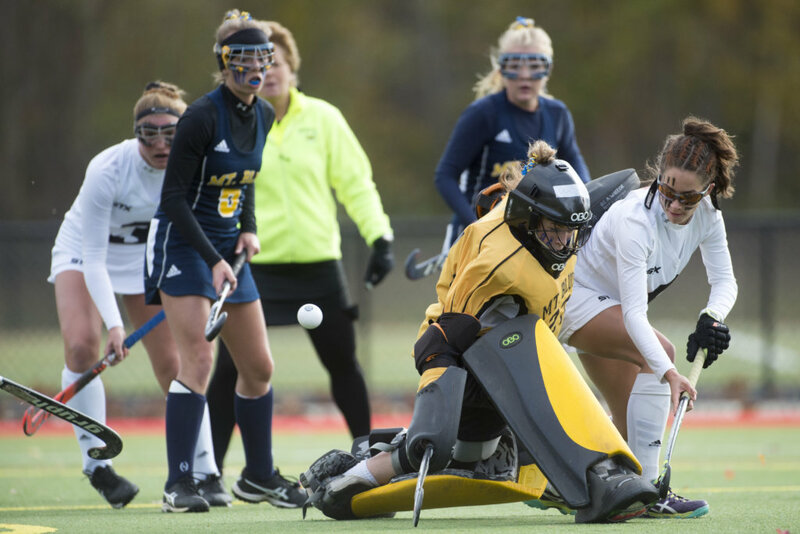 The Cougars had a sequence with just under 17 minutes left in the half when they had possession of the ball near the Indians’ net, but they mustered only one shot that goalie Mackenzie McConnell kicked away. It was as good of a look as Mt. Blue, seeking its first Class A final appearance since 1978, would have the rest of the way, with Skowhegan center back York and midfielder Kennedy among the busiest players at both breaking up the Cougars’ rushes and, with a quick pass or two, turning them into attacks the other way. Mt. Blue slowed the Skowhegan attack in the second half, turning the game into more of a midfield battle. A timeout called with 9:01 to go, however, seemed to rejuvenate the Indians, and one minute and 23 seconds later, York sent the ball in from the top of the circle and Kennedy redirected it into the goal for a 3-0 lead with 7:38 to go. 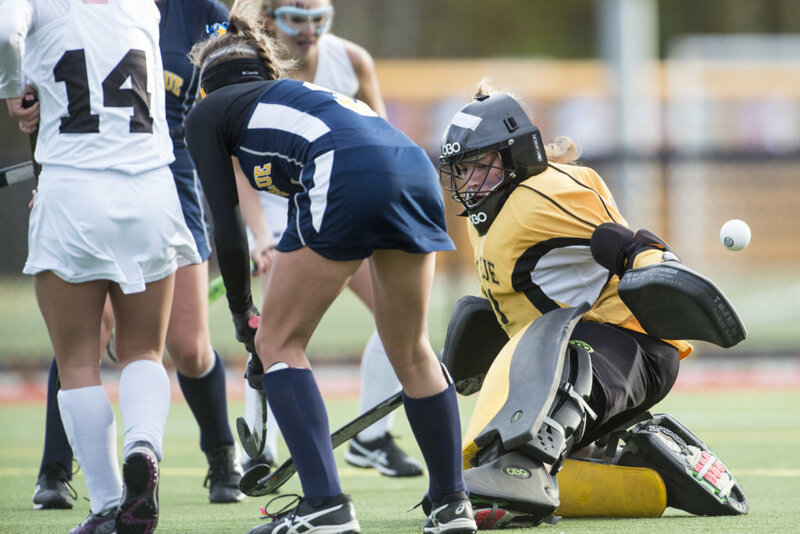 Junior goalie Brooke Bolduc helped keep the Cougars in the game, making 11 saves. With Marielle Pelletier the only senior on the roster, Harmon quickly took a more upbeat approach when talking about the team’s future.